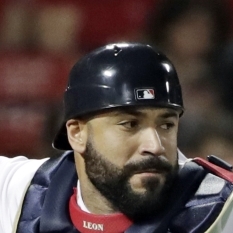 Boston Red Sox catcher Sandy Leon is starting in the first half of Tuesday's doubleheader versus left-hander Matthew Boyd and the Detroit Tigers. Leon is catching Chris Sale and batting ninth. Christian Vazquez is in the designated hitter spot while J.D. Martinez is in right field and Mookie Betts is covering center for Jackie Bradley. numberFire's models project Leon for 7.8 FanDuel points on Tuesday. He's priced at $2,000. 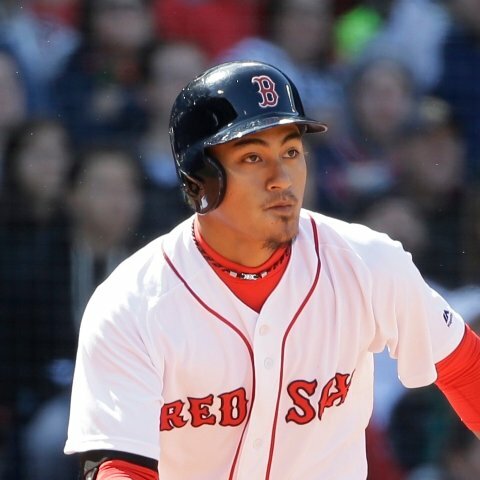 Boston Red Sox infielder Tzu-Wei Lin is starting in Game 1 of Tuesday's doubleheader versus left-hander Matthew Boyd and the Detroit Tigers. Lin is on second base and batting eighth following Monday's rainout. Michael Chavis is on the hot corner while Rafael Devers is on the bench. numberFire's models project Lin for 8.8 FanDuel points in Game 1. He's priced at $2,000. 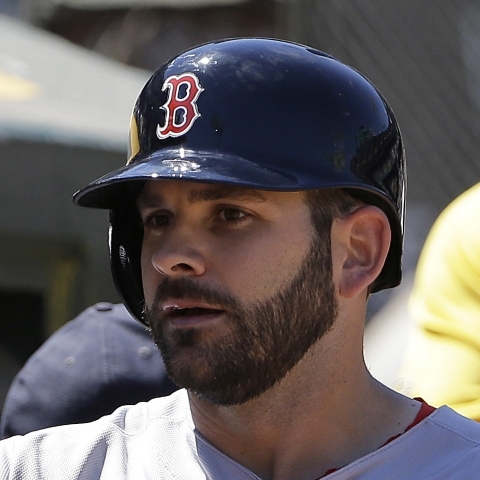 Boston Red Sox first baseman Mitch Moreland is out of the starting lineup in the first half of Tuesday's doubleheader versus the Detroit Tigers. Moreland is being replaced at first base by Steve Pearce. He's hit a homer in two of the past three games, giving him 7 total on the year. numberFire's models project Moreland for 9 homers and 47 RBI over the rest of the season. 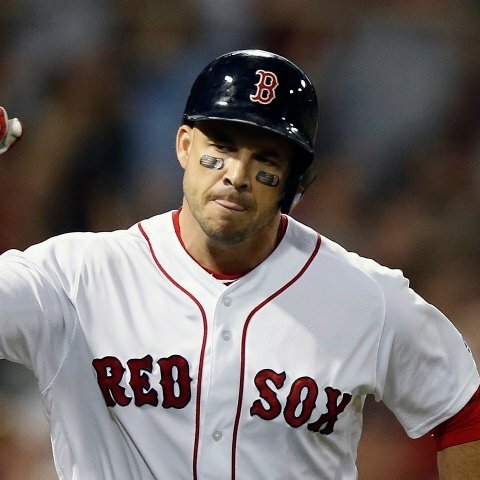 Boston Red Sox utility player Steve Pearce is starting in the first half of Tuesday's doubleheader versus the Detroit Tigers. Pearce is replacing Mitch Moreland at first base and batting fifth versus Tigers southpaw Matthew Boyd. J.D. Martinez is in right field and batting third while Xander Bogaerts is in the cleanup spot. numberFire's models expect Pearce to produce 9.9 FanDuel points on Tuesday. He's priced at $2,100. 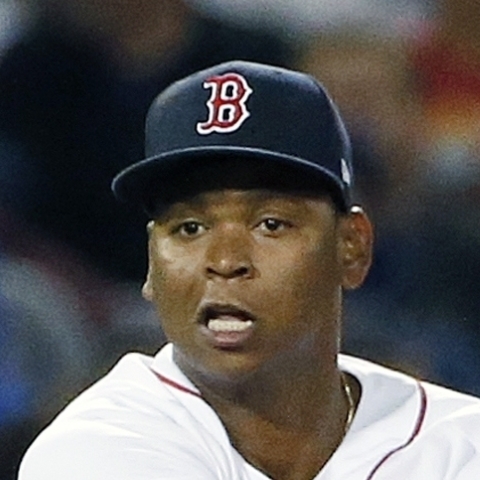 Boston Red Sox third baseman Rafael Devers is not starting in the first half of Tuesday's doubleheader versus left-hander Matthew Boyd and the Detroit Tigers. Devers was also going to sit Monday before it was rained out. Michael Chavis is moving to the hot corner while Tzu-Wei Lin starts at second base. numberFire's models project Devers to bat .272 with 22 home runs, 65 RBI, 53 runs scored, and 4 steals over the rest of the year. 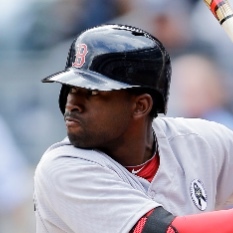 Boston Red Sox outfielder Jackie Bradley is not starting in the first game of Tuesday's doubleheader versus the Detroit Tigers. Bradley is sitting versus Tigers southpaw Matthew Boyd. Mookie Betts is covering center field while J.D. Martinez is in right and Christian Vazquez is playing designated hitter. Sandy Leon is set to catch southpaw Chris Sale. numberFire's models project Bradley to bat .260 with 17 home runs, 65 RBI, 73 runs scored, and 12 steals over the rest of the year.